1. Go START -> Programs -> Microsoft SQL Server 2008 -> Configuration Tools -> SQL Server Configuration Manager. Above in the yellow color zone, you will see the instance name that you gave during the installation. So right click on that and press START. Now your server will start. If already start then leave it. In the above picture you can see that the Highlighted thing. 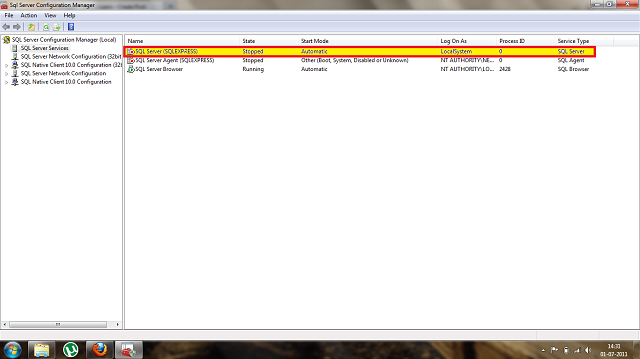 that is the instance that made of the server during installation. If nothing appear there then go Step 1 follow till step 3. And again try. You will get it. After you click connect, the database will open that will have some default tables,views etc. Now make a new database named "Code2Learn". and click ok.
Now your SQL SERVER is ready to work. Goto Start -> and in the search bar type ODBC. right and click on "Use as Administrator". 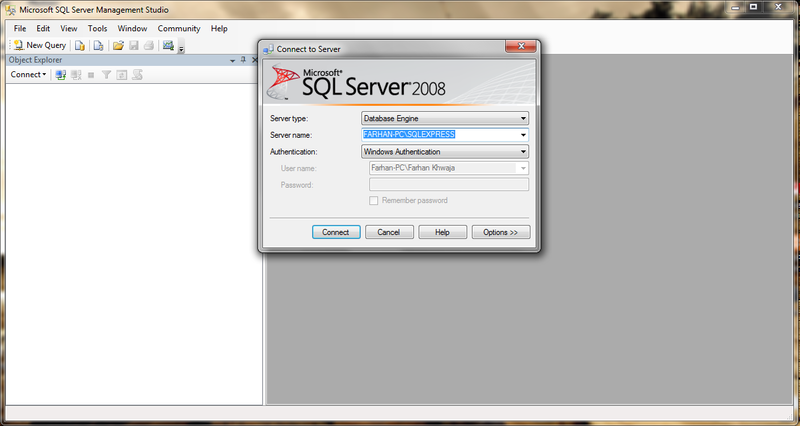 Now click on Add, then click and highlight SQL Server. Click finish. Give your Data Source a name ex: "C2LData". Then the click on add server and add the server in which your SQL Server instance is there ex. "Your_PC\SQLServer", click NEXT. Now check "Login with Windows NT authentication using the netwoek login ID." click Next. Here you can change the database that you want to keep as default so click "Change default Database" and choose Code2Learn (as we made this database in the Management Studio. after you do this click next and then click on FINISH. 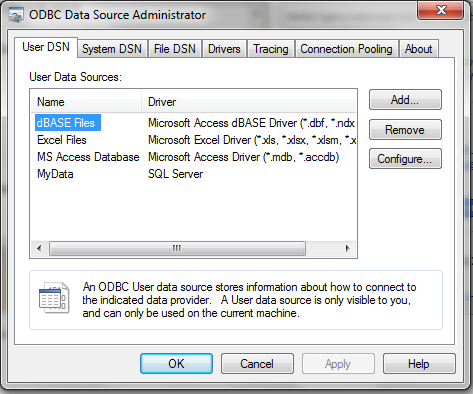 ODBC DATA SOURCE is NOW Ready. 1. Open Netbeans and then add new project. Add a Java application. and in the Main class write the code below. connected and now you use it to SELECT,INSERT,UPDATE or MODIFY data. Hi all I am using same code on JDK7 and 8. But its not working. Its giving class not found exception for sun.jdbc.odbc.JdbcOdbcDriver. How should I remove this error?